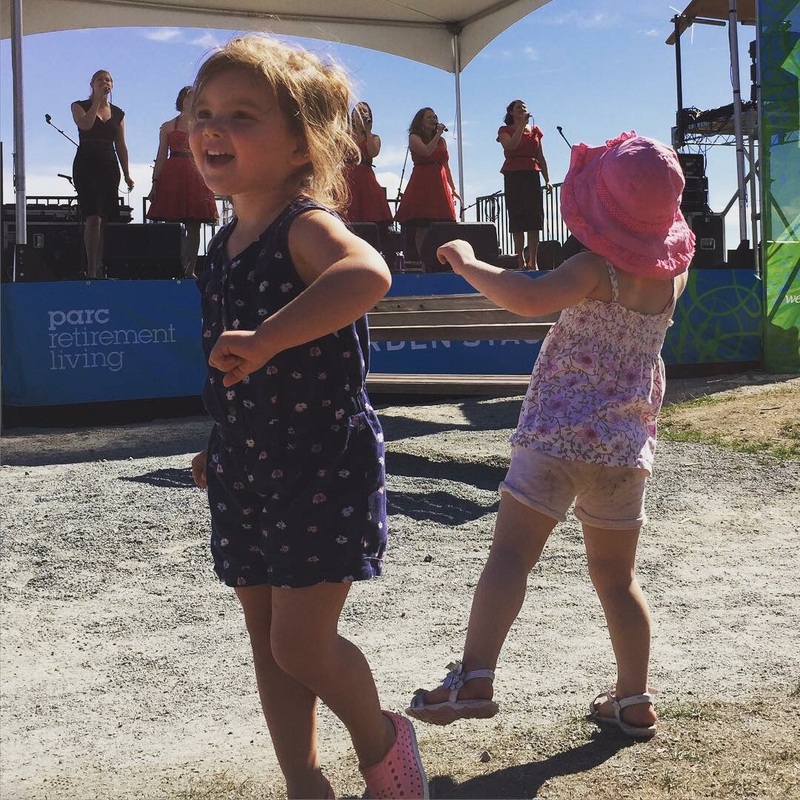 We hope you’ve been enjoying your summer, the beautiful sunshine and taking in some fabulous music around our great city #vancouverisawesome. One of the things we love about summer, is the abundance of music, festivals and performances happening in our great city. 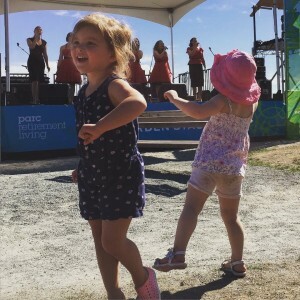 On August 1st, we had the absolute joy of performing on the Garden Stage at the Harmony Arts Festival in West Vancouver…and it was the highlight of our summer! The festival is a celebration of the arts in the community of West Vancouver and takes place on the stunning waterfront. It was such an honor to be able to perform in our hometown, see the arts vibrant and alive, and contribute to our community. The audience was amazing (we saw some singing along!) and we had a kiddie dance party happening in front of the stage (okay, yes, they were our kids!). We have a special affinity to West Vancouver because four of us grew up in West Van and gained our choral foundation through the award-winning choir program at West Vancouver Secondary School. We draw on those learnings regularly as we take our choral roots and create our own blend of choral fusion, of course with our Sweet Scarlet sassy sophistication. Thank you to all who came out, who supported the arts, and who organized the Harmony Arts Festival, and a big welcome to our new fans who ‘liked’ us on Facebook! We have exciting plans for the fall coming up, and are already discussing our Christmas plans and taking bookings. Stay tuned!